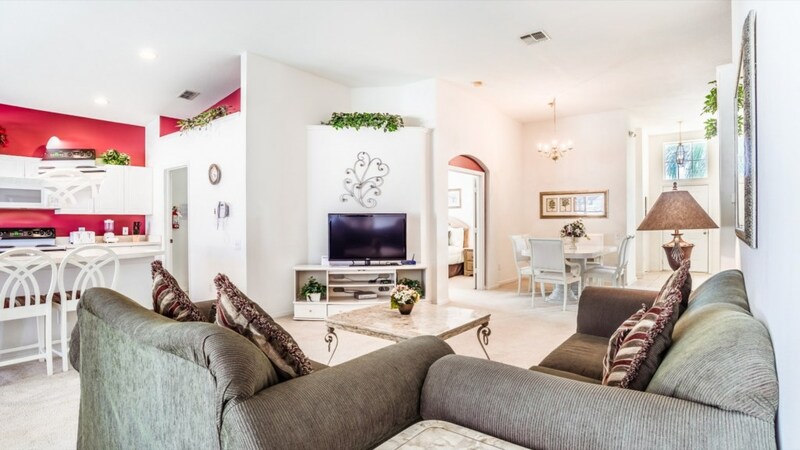 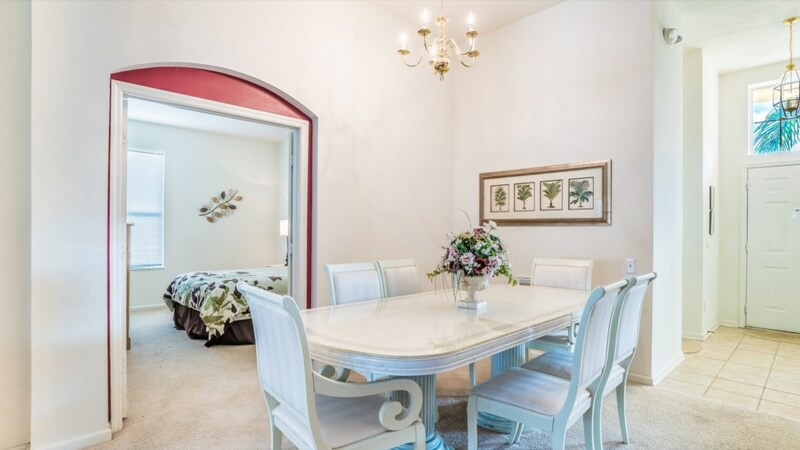 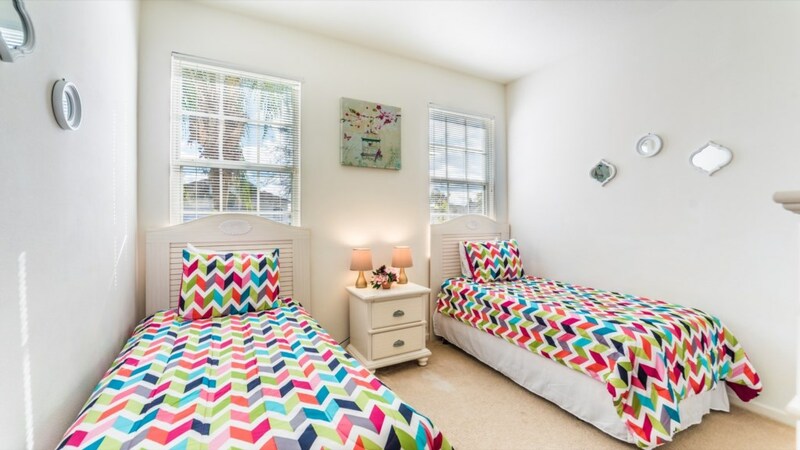 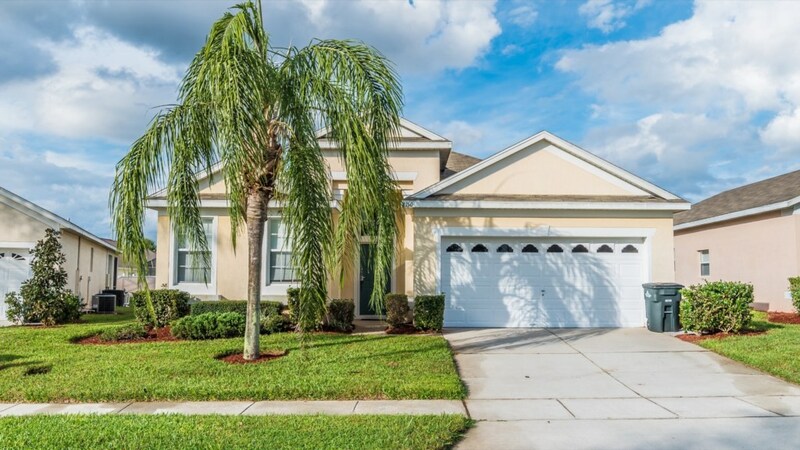 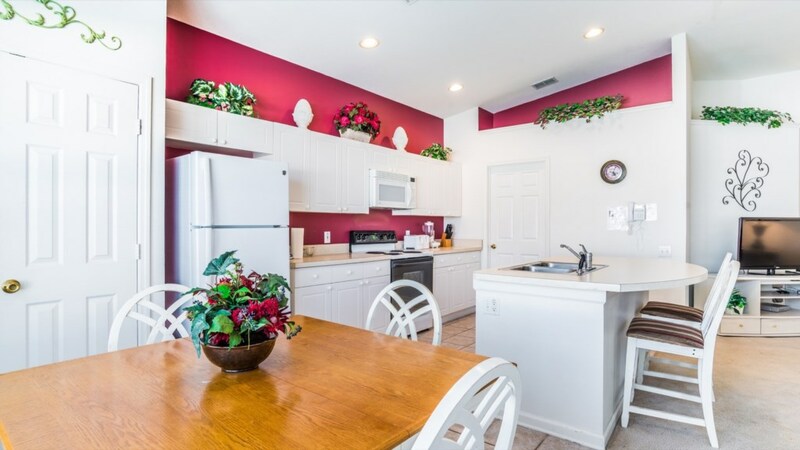 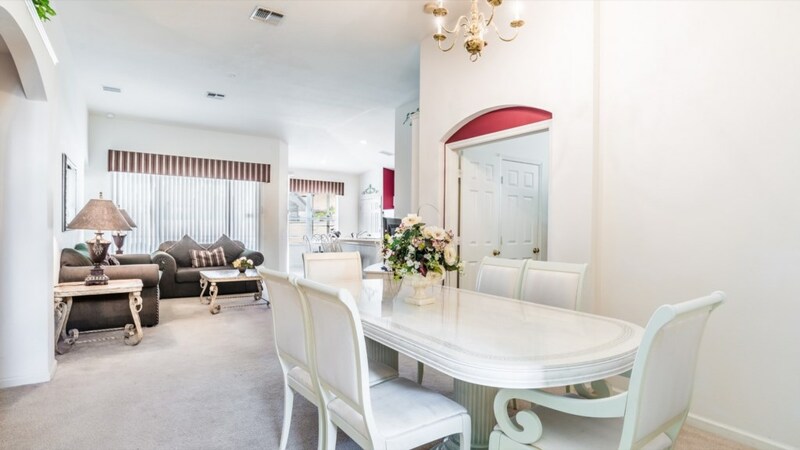 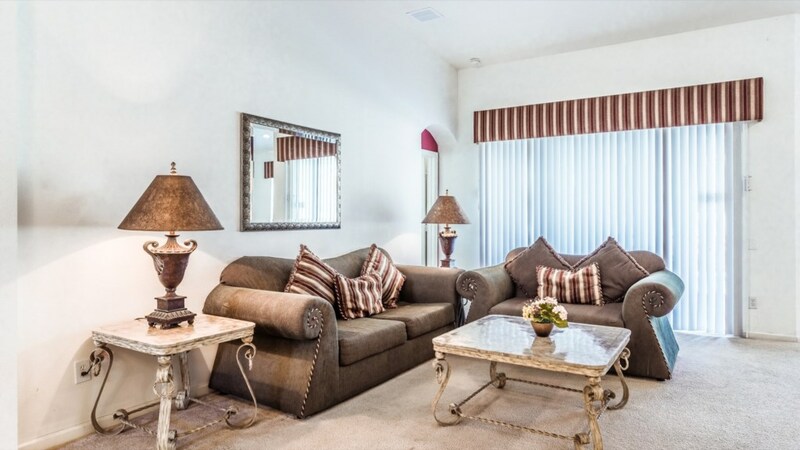 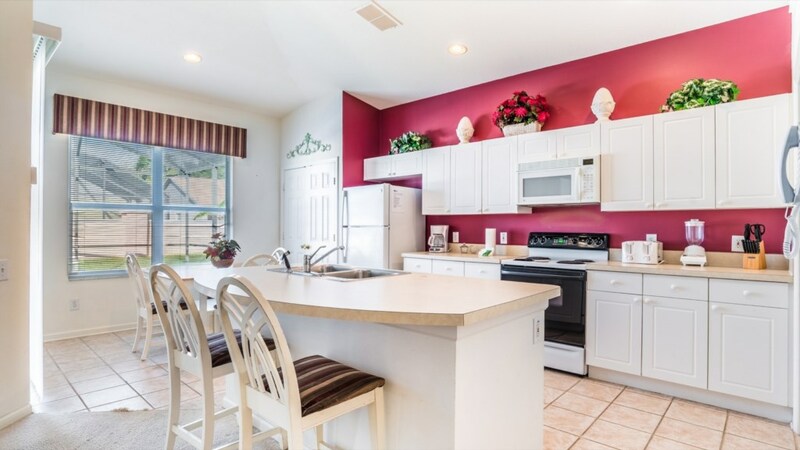 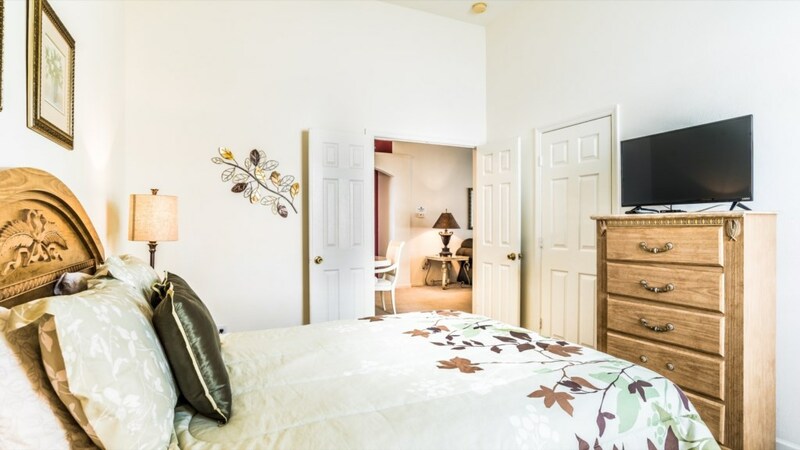 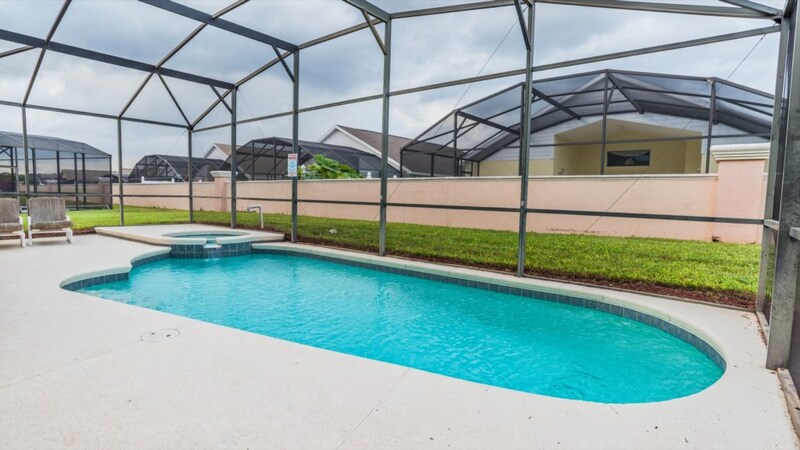 This Lovely 4 bedroom/3 bath home is just minutes to Disney. 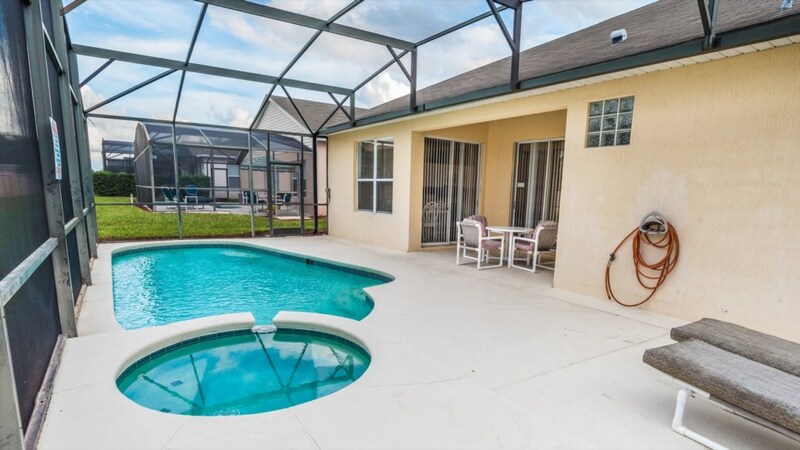 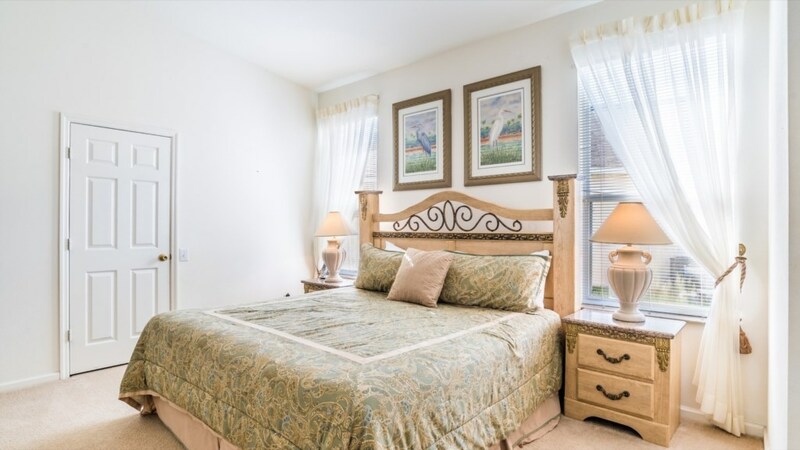 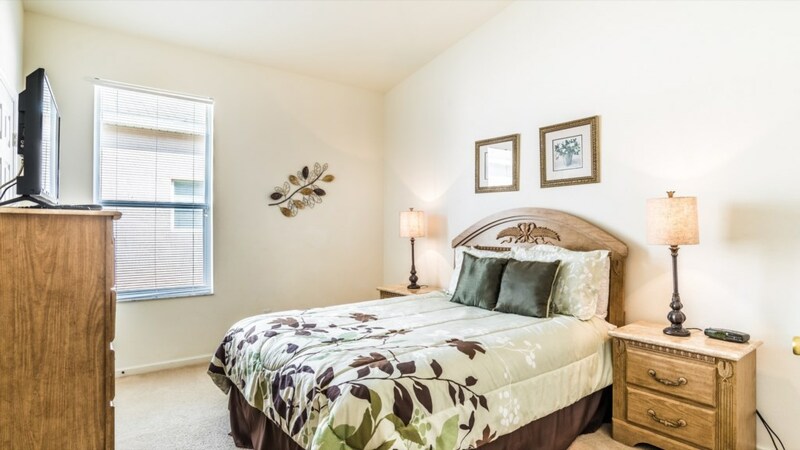 The home features a private swimming pool and spa/jacuzzi with pool heating features. 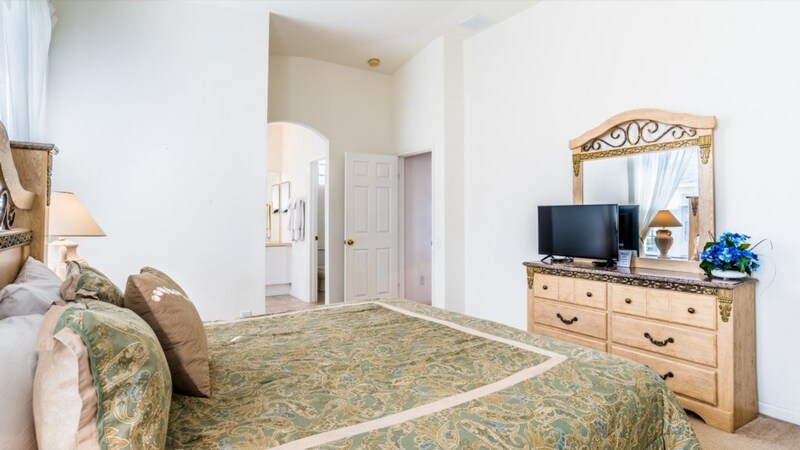 It also includes a home entertainment DVD combination, play station and TV's in every bedroom. 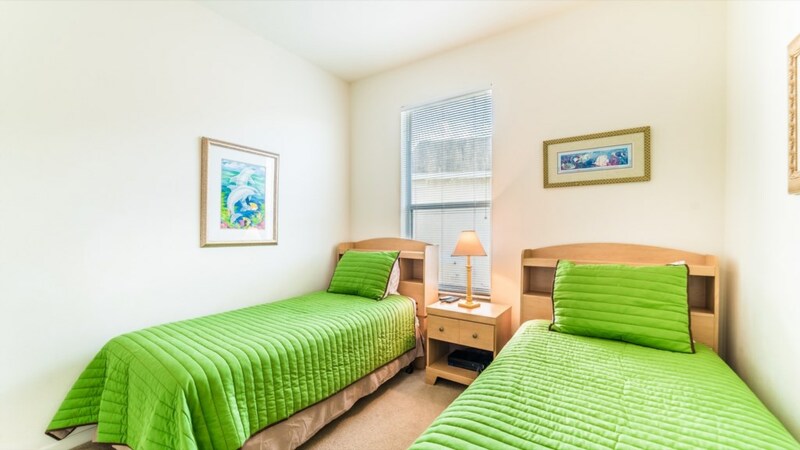 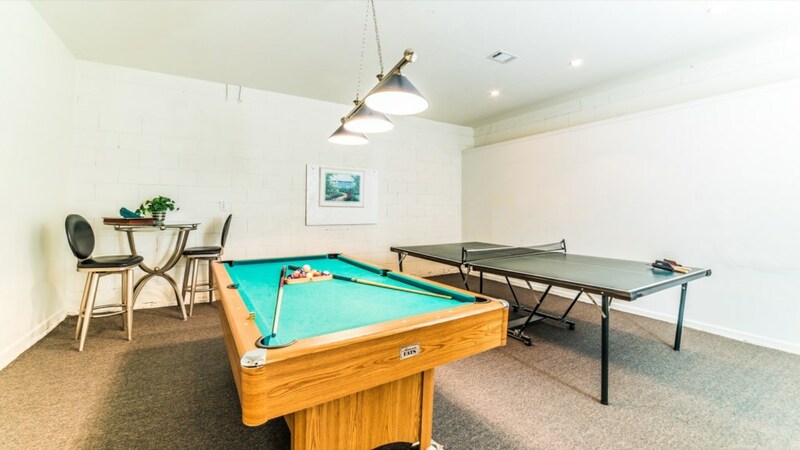 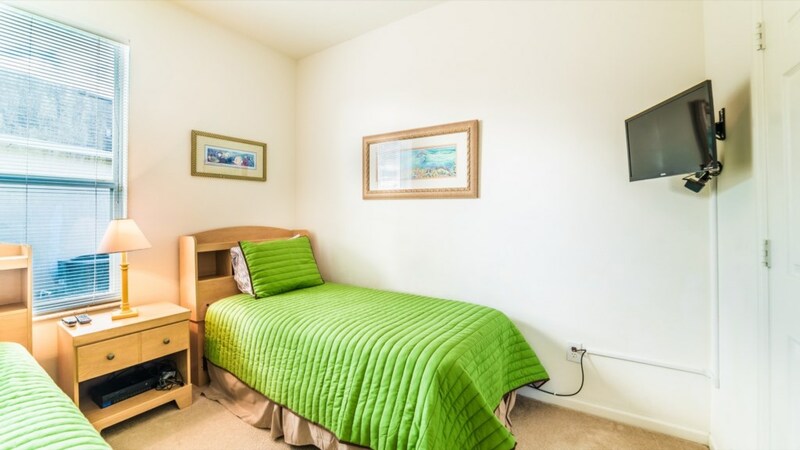 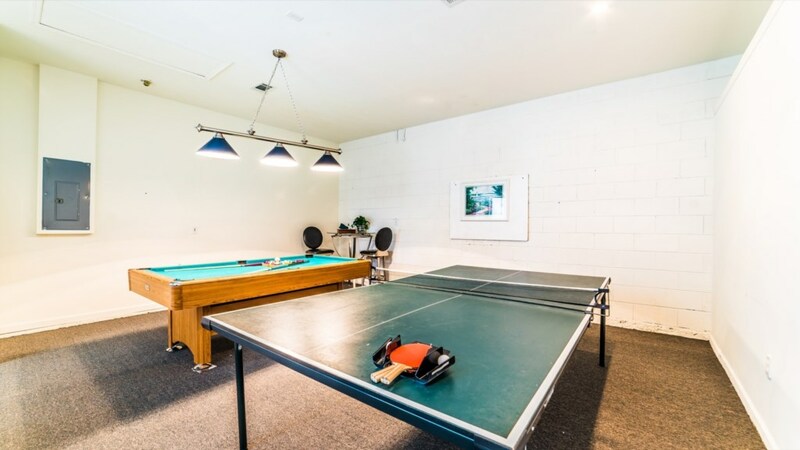 In addition, there is a game room with pool table and ping-pong table, free internet with wireless router and free unlimited long-distance and international calles for your convenience. 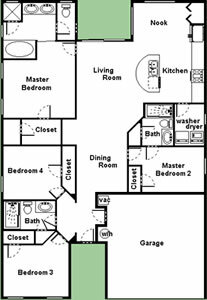 The home can accomodate 8 people. 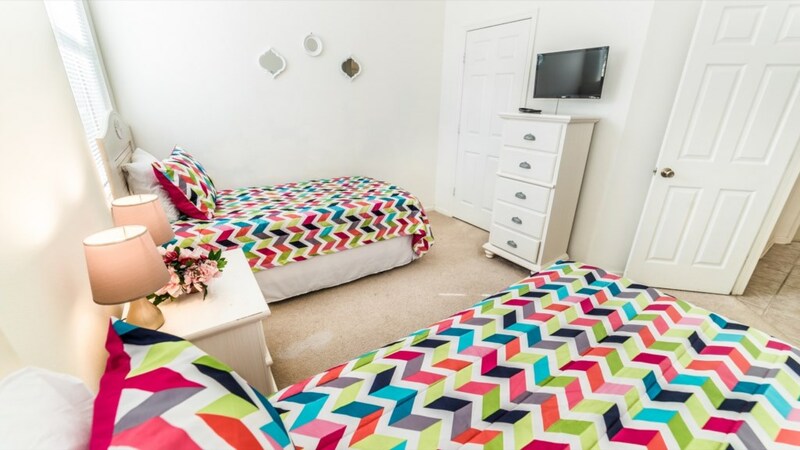 There is 1 queen, 2 sets of twin beds and 1 full bed.